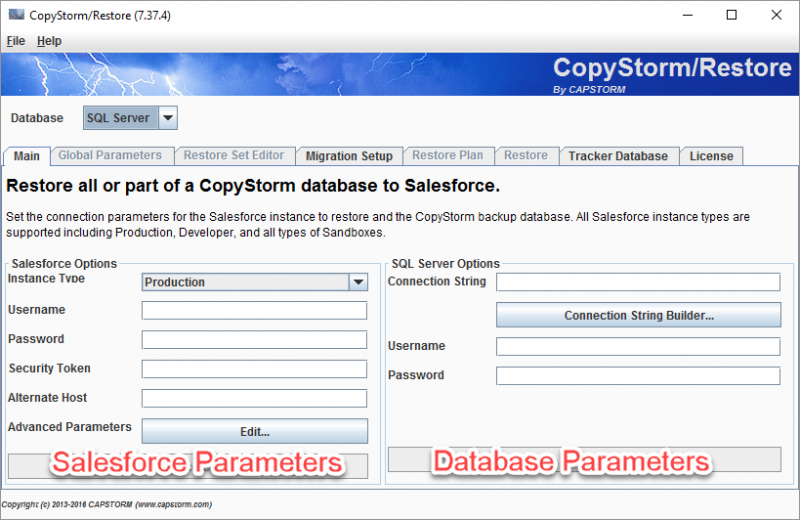 The main CopyStorm/Restore tab is used to manage credentials for Salesforce and the source CopyStorm database. Connection String JDBC connection string required to use a CopyStorm database. After entering parameters for a connection, a “Test Connection” button will become enabled and can be used to validate the credentials.